Cheers to another day my friends! I have gotten a few messages from folks who have started running recently who are struggling to stay motivated in their new journey. It’s new to them and what is still fresh in their heads is how much they have always hated running. Further, if they haven’t run a race yet, they may not have had the opportunity to witness the positive enthusiasm that running can bring to keep them motivated during their workouts. So this morning I thought I would share some ways that can keep running interesting. For me I can’t say that running is ever boring for me, even after all these years. Maybe the reason it isn’t boring is because I call upon some of these every now and then to “keep things interesting”! Here are just a few of those! Run with headphones. Whether they are wired or bluetooth, running with headphones is a game changer. I have a few playlists that I fire up when I go for my runs. For me it’s 90’s alternative since that’s what I was listening to in high school when I first picked up running years ago and quite frankly, I still love those tunes too! But I have a few other playlists too, like some old school hip hop and another with latin vibes. But music isn’t the only thing you can listen to. Podcasts have become favorites of runners, or maybe even a newscast. All of these can and will make your run go by a lot faster! Mix Up Your Running Routes This is one that I like to do a lot. Let’s be honest here, if you are running the same route over and over again, this will get boring. I always say that running can lead you to be a sightseer whether it’s when your travelling or even in your own neighborhood. Take a look at your runs, if you’re doing the same ones over and over again, mix them up please or consider changing the length of your runs if you must use the same routes. Track Your Runs. There are a number of running apps out on the market today that track your runs from your phone by use of GPS. I am a fan of Map My Fitness & Strava, but I must say that Strava is quickly becoming my favorite. These apps have information that keeps me wanting to come back and run again and again. One of the reasons Strava is becoming my favorite is because of all the info they give you out of just one run. They will calculate portions of your run and compare them to similar portions you have run before and tell you how you compared to those. Further Strava is quickly becoming another community but solely made up of runners, which means you can follow your friends and compare how you do. I always say numbers can tell a story and Strava’s stats tell you your story while keeping you motivated. Map My Fitness is always coming up with challenges to keep you motivated and thats part of the reason I continue to use them as well as Strava! Just a few of the stats from Strava that keep my running interesting! Run With A Group. This is something that I personally had not tried until this week. I’ve always run alone in my neighborhood but since creating a facebook group for the United NYC Half Marathon, I’ve met a lot of runners online in preparing for that race. 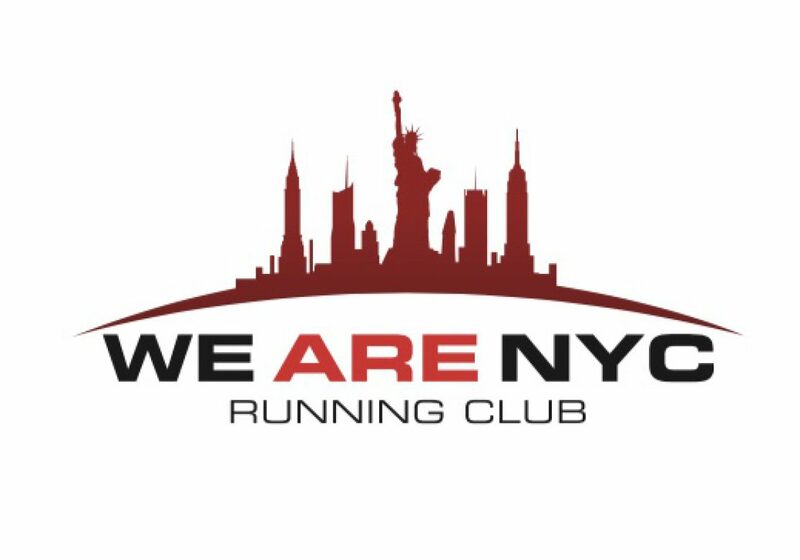 Some who live close to me, and when I say close I mean New York City (lol), expressed interest in running as a group to prepare for our race in March together. I ran with the group for the first time this week. We had 6 people in the running group and it was an awesome experience. I’ve always heard that group running is fantastic but it was hard to vouch for that without a group to run with. I highly recommend that if you need a change a pace in your running, find a group or even just a friend and go for a run with them. While your chatting away, those miles will trickle by with ease! Good chats, good friends and good running within a group! Mix Up The Type Of Runs You Do. Running doesn’t always have to be about going out and running the same distance. As I mentioned up above, the same route can get boring but also the same type of run can get boring. I always like to get a track workout into my routine if not once a week, at least every other week. This allows me to do intervals on the track which in turn help me build my speed. Hopefully most people have a community or high school track near by that they can have access to. If so, I encourage a track work out! Other times, I like to go find a decent sized hill by me and just run up that hill 10-20 times. This will no doubt challenge you but it will be different from your usual run. Plus hill work will make you a stronger runner in general and that is always a plus when running a race! Tempo runs are also a good way to mix things up. Tempo runs involve running portions of a long run much faster than other portions. For example on a 5 mile run, running miles 1,3 & 5 easy but cranking it up for miles 2 & 4. These are just some ways you can mix up the type of runs you do. I run with my phone blasting music out loud and IDGAF. lol But yes, running with music in general, game changer! !